Our Team has a passion and commitment for world Indigenous performance. Our combined experience ensures artistic and organizational excellence. Internationally renowned, Red Sky Performance is a leading company of contemporary Indigenous performance in Canada and worldwide. Our multi-award winning company was founded in 2000 by Artistic Director Sandra Laronde of the Teme-Augama-Anishinaabe (People of the Deep Water). We have garnered an international reputation for collaborating on landmark projects with some of the most prestigious artists and companies from around the globe. Touring since 2003, we have delivered 1,736 performances across Canada and 178 international performances in 12 countries on four continents. We have significantly influenced the artistic evolution and innovation of contemporary Indigenous performance in Canada and around the world. Executive & Artistic Director of Red Sky, Sandra Laronde, O.M.C., B.A. (Hon), Hon. LL.D is originally from the Teme-Augama-Anishinaabe (People of the Deep Water) in Temagami, northern Ontario. 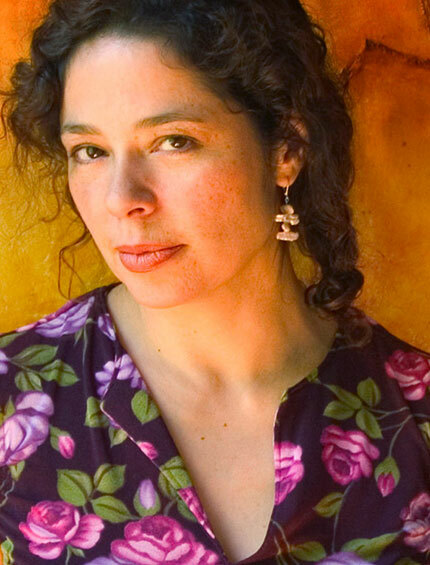 An accomplished innovator and leader in arts and culture, Sandra has conceived, developed, produced, and disseminated award-winning productions that are Indigenous, multinational, multi and inter-disciplinary, and intergenerational in scope. Sandra creates exceptional new work and programming that raises the artistic ceiling of contemporary Indigenous artistry, and contributes to building vibrant Indigenous communities across Canada and worldwide. Click here for Sandra Laronde's full biography. Jera Wolfe is of Metis heritage. He is a choreographer, dancer, and Associate Artist with Red Sky Performance. His love of dance emerged at the age of 13 when he began training in hip-hop, break dance and jazz at a local studio in Kelowna, B.C. He studied at the National Ballet of Canada, Arts Umbrella, and Canada's Royal Winnipeg Ballet School. His choreographic works include as a collaborative choreographer for Backbone, and as a choreographer for Miigis and Trace. 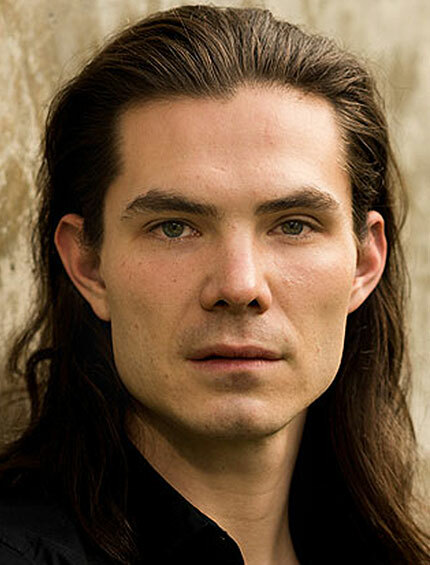 He also danced at the Indigenous Dance Residency (IDR) at the Banff Centre for the Arts and Creativity, was then invited back as a "Merit Dancer" and became part of the core creative team. 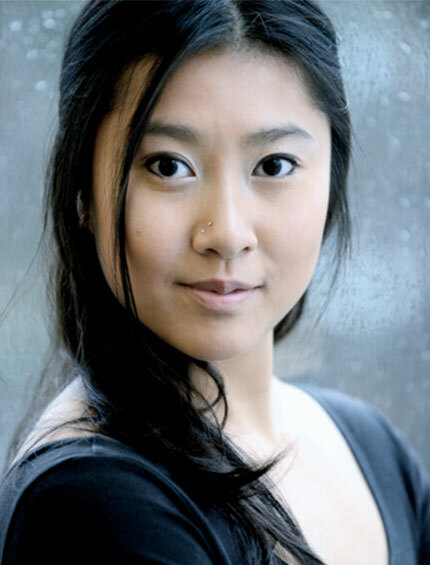 Born and raised in small town Prince Rupert, British Columbia, Julie Pham is a graduate of the Arts Umbrella’s Professional Dance Program in Vancouver. She has worked under the direction of teachers Artemis Gordon, Marquita Lester, Lynn Sheppard and Curtis Foley. She has performed and rehearsed in works by renowned choreographers John Alleyne, James Kudelka, Gioconda Barbuto, Fernando Magadan, Wen Wei Wang, Aszure Barton, Matjesh Mrozewski and Simone Orlando. Julie has performed in various roles in The Nutcracker and Swan Lake with Arts Umbrella, and she studied at intensive workshops with members of Nederlands Dans Theatre, Kidd Pivot, Cedar Lake Contemporary Ballet and Les Ballets Jazz de Montreal. She has also performed and competed with Spectrum City Dance where she received the opportunity to attend the Showcase National Dance Championships in Australia. For three years, Julie also danced and toured professionally with Ballet Kelowna. She will continue her dance endeavours with Red Sky Performance under the tutelage of Sandra Laronde. Eddie Elliott is of Maori descent from Tainui, New Zealand. He discovered hip-hop in Wellington and trained in contemporary dance at UNITEC. A graduate UNITEC in 2013, Eddie was nominated for the Rolex Mentor and Protégé Arts Initiative and the 2014 “I Am Auckland Awards” which won him the Youth Active Award. In 2015, James Cook High School named an award for students in his honour, the “Eddie Elliott Award for Outstanding Contribution to Dance". 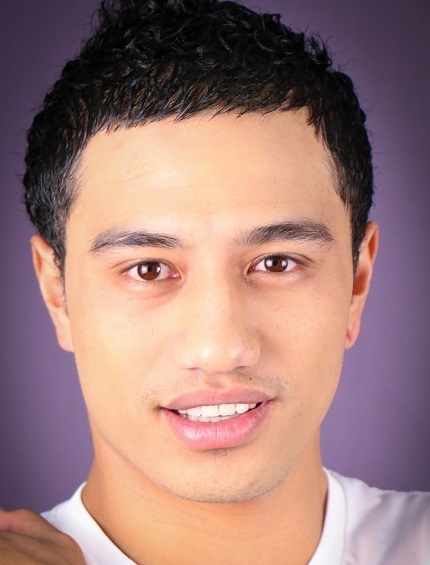 In recent years, Eddie has also choreographed works such as Hear Me Out (2011) which came first on Maori television’s Kanikani Mai. His work, I'll Stand Outside (2012) toured the south island and Rarotonga, and Kei konei au (2013) was performed on 10 University dance students at UNITEC for their graduation performance. Eddie has worked with leading dance companies in New Zealand including Black Grace, Atamira, Okareka Dance Company, Douglas Wright Dance, and the New Zealand Dance Company. He is currently an Associate Artist with Red Sky Performance. Eliot Britton integrates electronic and instrumental music though an energetic and colourful personal language. His creative output expresses an eclectic musical experience from gramophones to videogames, drum machines, orchestras and electronic chamber music. 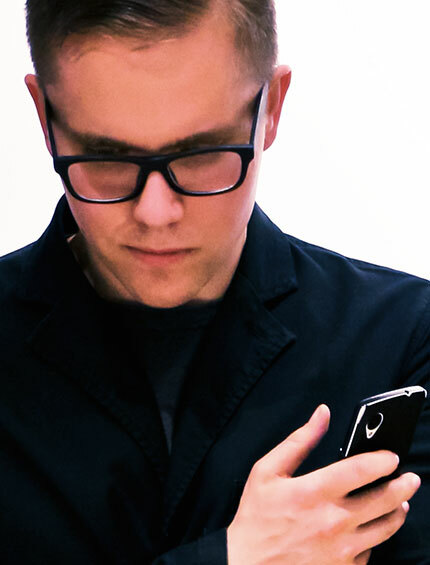 Rhythmic gadgetry, artistry, personal history and the colours of technology permeate his work. By drawing on these sound worlds and others, Eliot Britton's compositions tap the newly available resources of the 21st century. He is passionate about Canadian music culture, seeking new and engaging aesthetic directions that connect with a post-digital audience. A proud member of the Manitoba Metis Federation, Eliot recently completed his PhD in music research and composition at the Schulich School of Music at McGill University. At McGill, he has worked as a course lecturer, researcher and composer in residence for numerous ensembles. He is the recipient of numerous prizes, including the SSHRC Bombardier graduate scholarship, Louis Riel Scholarship, The Royal Winnipeg Ballet Aspirant Program’s Emerging Composer Collaboration, and more recently the Hugh Le Caine and Serge Garant SOCAN awards. Currently Britton is working as an assistant Professor of composition at the University of Toronto, co-director of Manitoba’s Cluster New Music and Integrated Arts Festival and continues to produce music for a variety of labels, companies and music houses. His recently completed projects include a commission from the Winnipeg Symphony Orchestra entitled “Heirloom Bison Culture” as well as commissions for the Plumes ensemble and Quasar quartet. 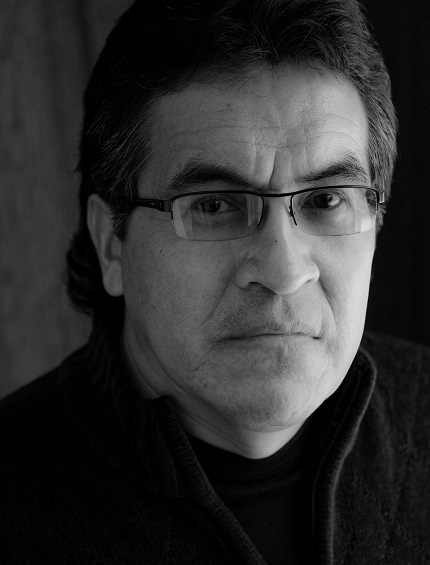 Carlos Rivera has been an Associate Artist with Red Sky for over a decade. Currently, he is a choreographer, rehearsal director, dancer, and teacher with Red Sky Performance. He has performed with Red Sky Performance in the following productions: Caribou Song, Dancing Americas, Raven, Shimmer, The Great Mountain, Tono, inSIGNia, and Mistatim. 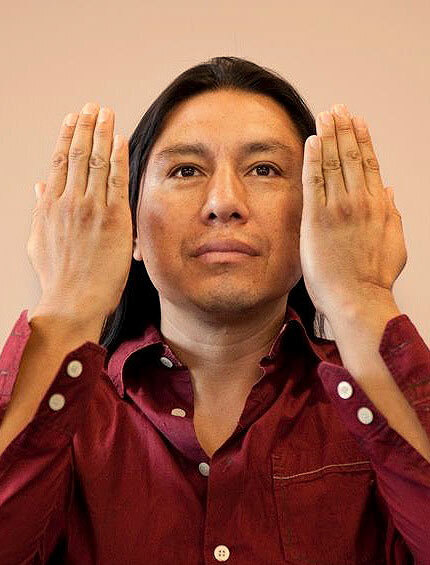 He is of Mixteco Indigenous descent and trained at the Government of Mexico City's Cultural Secretary Dance School, Centre for Choreographic Research at the Fine Arts Institute (CICO-INBA), Banff Centre for Arts and Creativity, and the National Theatre School of Canada based in Montreal. Carlos has been in numerous dance productions as well as a director and choreographer of the Yumare Arte Escenico, a traditional and contemporary dance company. Carlos draws from elements within traditional and popular culture in contemporary dance. His own choreographic works include Bosque Sagrado, Jardines y Santuarios, Memorias del Fandango, and From the Aztlan to the Zocalo. He also created I'm Not the Indian You Have in Mind, a dance project delving into the complex identity of Native peoples in today's society that was part of Harbourfront’s Next Steps in 2013. 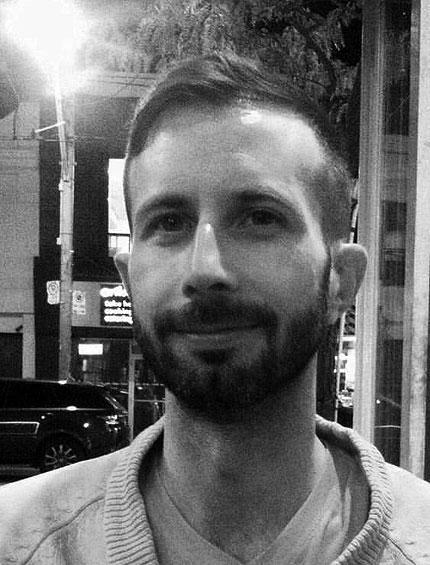 Jason Aviss joined Red Sky Performance as Production Coordinator in August 2017 after five years as a senior event producer at the Toronto International Film Festival. Jason was Production Manager at The Music Gallery from 2009-2011, and Director of Operations from 2011-12. He is co-chair for Humber College’s Arts Administration-Cultural Management Program Advisory Committee and has worked with independent musicians and ensembles as a grant-writer, budget administrator, and fundraising consultant. Jason received his Hons. BA from the University of Toronto and a Graduate Certificate in Arts Administration–Cultural Management from Humber College. Jackie McAlpine has over 30 years of experience in administration and financial management for cultural and non-profit organizations. During her work with Small Theatre Administrative Facility (STAF), she managed year-round administration and production services for multiple companies and independent artists such as internationally renowned Theatre Smith Gilmour; creator of the hit stage & TV show 'da Kink in My Hair, Trey Anthony; director of Cabaret Company and founder of Buddies in Bad Times Theatre, Sky Gilbert; the Actors Repertory Company; and the Associated Designers of Canada, among others. For the past four years Jackie worked with Marinucci & Company doing financial audits, organizational process reviews, and development of policies and procedures. Jackie is also a seasoned musician and graphic designer. In 2006, her thesis design of orphan spaces and green roofs won a School of Design Director's Award, Design Contribution to the City. In addition, her passion for social justice work earned her a National Millennium Excellence Award in 2002. 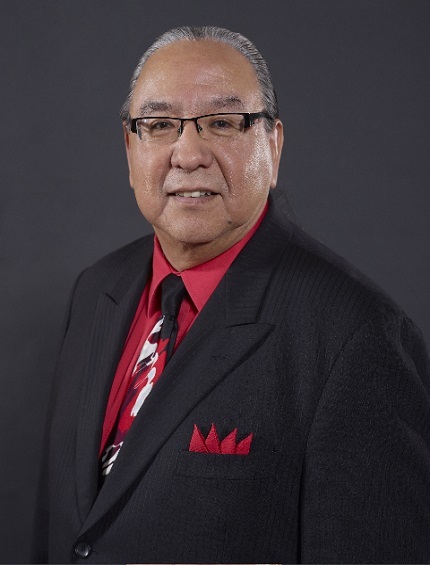 Niigaanipinens izhiniikaazo, Makwan ododeman, (Don Kavanaugh) is Anishinaabe from the Lake of the Woods area and lives in the community of Animakee Wa Zhing First Nation. Don currently works as a Mineral Development Advisor for Anishinaabeg of Kabapikotawangag Resource Council, which provides advisory services to 5 First Nation communities affiliated with the Resource Council. While he was exposed to the arts in some form or another while growing up in a First Nation community, he became involved in theatre in 1996 while working as the Executive Director for the Lake of the Woods Ojibway Cultural Centre. As a 41-year participant of traditional powwow dance, Don is a firm believer in his culture and its traditional teachings. Since 1991, his work has been integral to arts and cultural development in the Kenora area. He encourages and supports artists and community members to pursue arts activities. 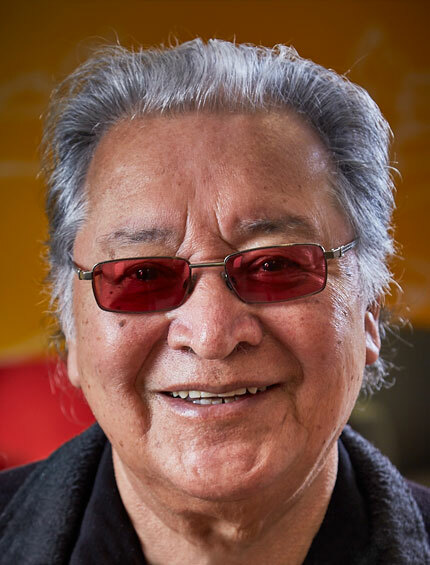 In the past, Don has been the Cultural Advisor/Instructor, as well as a performer at the Centre for Indigenous Theatre’s Summer South Program at Trent University, and at the Summer West Program at the University of Lethbridge. He has translated script dialogue from English to Ojibwe for various artists, and continues to do so. After a 7-year hiatus from arts, Don has returned to pursue the arts in a more supportive role. In the winter of 2016, he assisted the Lake of the Woods Ojibway Cultural Centre in an effort to revitalize the Centre’s arts programming. In 2017, Don will be involved in 2 projects, No Wilderness: This Is Home and Summer Stories: The Northwest Angle, to help promote performing arts in the Treaty 3 Territory. Alex McKay is an Associate Professor in Aboriginal Studies at the University of Toronto, and has been with the program since its inception. He is Anishinaabe from Kitchenuhmaykoosib Inninuwug in northern Ontario. He is in charge of the Anishinaabemowin program and teaches courses in Anishinaabemowin, Native Language and Culture, and Indigenous Legends and Teaching. Taehowęhs, aka Amos, was born into the Onkwehonweh Civilization and is a member of Mohawk Nation, gifted into the Turtle Clan of his Mother, and conferred to the Sacred Circle of Faith Keepers of the Longhouse at Six Nations of Grand River Territory. Amos is an educator and staunch advocate for Civil and Linguistic Rights; Social Justice; Indigenous Education and the Emancipation of Indigenous Peoples. He promotes social change, social enterprise and civic engagement in terms of improving the quality of life of individuals and communities. His early career started at the London Board of Education as First Nation's Guidance Counselor and Native Studies Teacher and continues today with First Nations Bilingual Education. He is also an advocate for ‘synchronous’ e-learning secondary school education. In the past, Amos held elected appointments and engagements at local, provincial and federal levels. He just recently was appointed to the University of Toronto’s Centre for Indigenous Studies, and to lead courses on Reconciliation and Languages in a tenure track position as Assistant Professor. He provides leadership in refurbishing the former Mohawk Institute Indian Residential School as a project of reconciliation entitled ‘Save the Evidence' which is a tactile museum and interpretation centre that showcases this important era of Canadian history. Amos is well on his way to create Canada’s first ‘Canadian Museum of Conscience’ (CMC). Pauline Shirt was born and raised in Saddle Lake Reserve, Alberta. 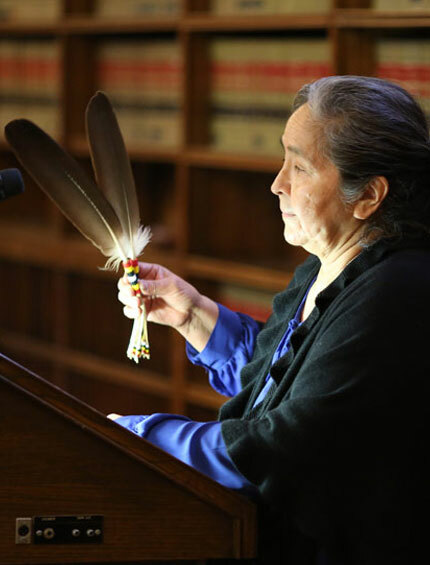 Pauline is greatly recognized for her commitment to the Toronto Native community and for her dedication as a teacher and lecturer since the late sixties. She is a member of the Three Fires Society and the Buffalo Dance Society. Pauline is a founder of the First Nations School and the Red Willow which are just two examples of her strong work ethic and perseverance in improving the lives of the Toronto Aboriginal community. Today, Pauline serves as a mentor to many Aboriginal youth and young families as an experienced and trusted Grandmother. She also works in all levels of government conducting Opening Prayers and attending meetings, making sure the Aboriginal community is positively recognized as she offers a voice for her people.